If you park in the first car park at Greenaway Country Park past the lake, and then walk along the road taking the footpath on the left around the lake, continue until one crosses a bridge, just below the Warden’s Tower taking a path which follows a small stream, past a pond and then continue until there is a bridge on the left and just after this is a path on the right you will reach Gawton Well (SJ 898 555) voted one of the most mystical places and certainly one of the most atmospheric of Staffordshire ancient wells is found on the remains of the Kynpersely Estate. The spring fills at first an elliptical stone basin, then a small rectangular basin and then a larger one which could have formed a bath. There is a semi-circular stone just after this and then flows through a number of large rocks forming a stream. The site has an excellent arrangement the juxtaposition between the man-made and the natural. Perhaps what makes this well one of the most evocative and interesting is the fact that it arises in an oval grove of yew trees. Some folklorists and New age Antiquarians have seen this as being evidence of some pagan origin of the well and although it is interesting that the site is unconverted to the Christian faith. However, one must be careful. Firstly the trees do not look that old and secondly the presence of a nearby Warden’s Tower, a folly suggests, that this is perhaps a 18th century piece of antiquarianism. 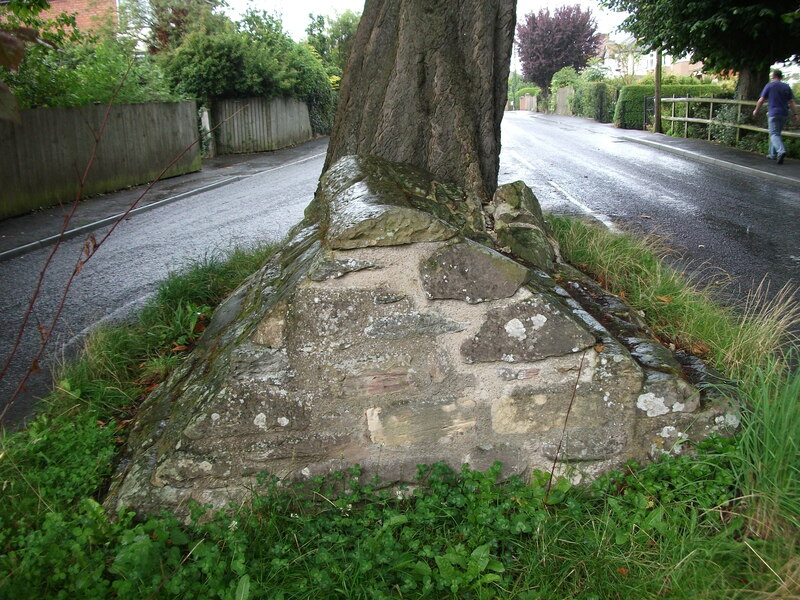 This suggestion of the site being a folly may be justified by the presence of Gawton’s Stone. 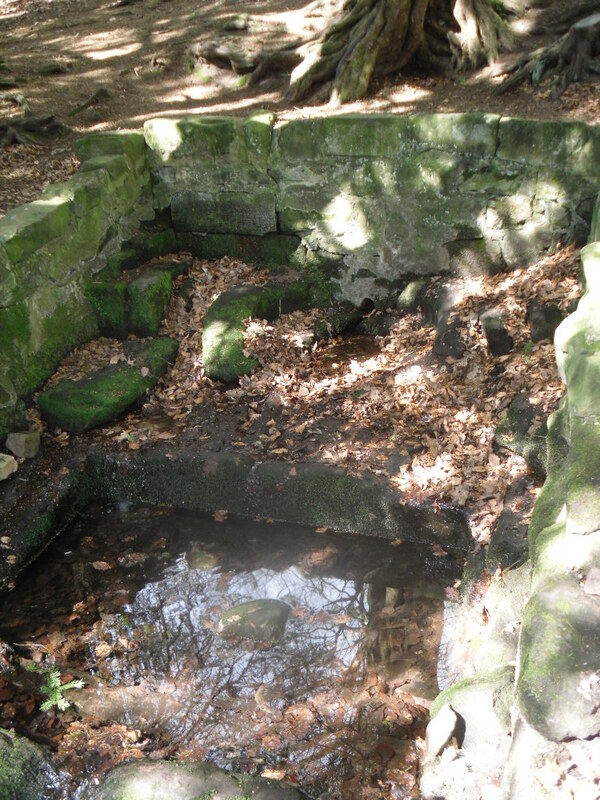 This is just up from the spring, being a large stone supported by three other stones. 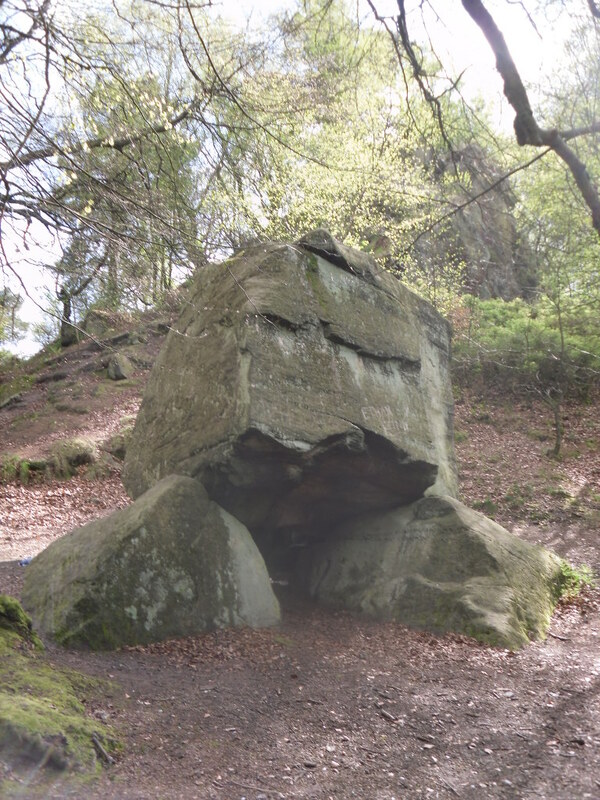 Some antiquarians identified erroneously this as either a druidic altar or megalithic structure (it would be impossible to lift the structure). However it is here that legendarily a hermit lived called Gawton who used the well. 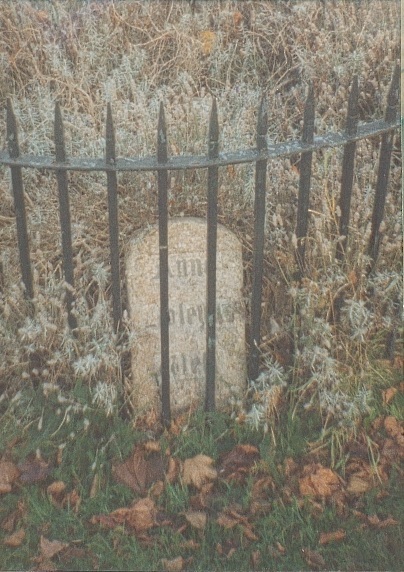 Often landowners would employ a hermit to add some romance to the estate, although the stone does not particularly look like a comfortable place. Certainly local tradition states that the man came from Knypersley Hall in the seventeenth century, although the house is 18th century and no name is recorded as living there of any note! The house itself dates from the 12th century. The King’s evil was a skin complaint generally called scrofula which was only thought to be cured by the touch of the reigning monarch. Now rarely do I try out springs but at this time my little boy was suffering with eczema and having tried all sorts of creams I said flippantly try some of the well’s water. I collected it from near the source in a drinking bottle, it felt unusually silky to the skin, and applied some to an area of dry peeling skin on his cheek. Remarkably by the time we had walked from the well to the car the area have healed itself rather miraculously. I only wished I had collected some more to use later, although the area on his face disappeared for good…. 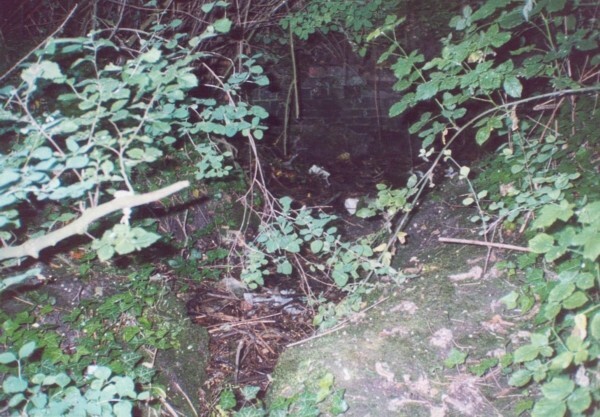 In all Gawton’s Well deserves to be more well known, a magical site of which my only clue to its existence before reaching it was a circle on the OS! A site which may reveal its secrets with greater research which I plan to undertake whilst preparing for the Holy wells of Staffordshire. Wells found in villages which bear the name of the saint the well is dedicated to are always very interesting and this site is perhaps the original focus for the community and it is not always clear my the saint has become synonymous with the location. 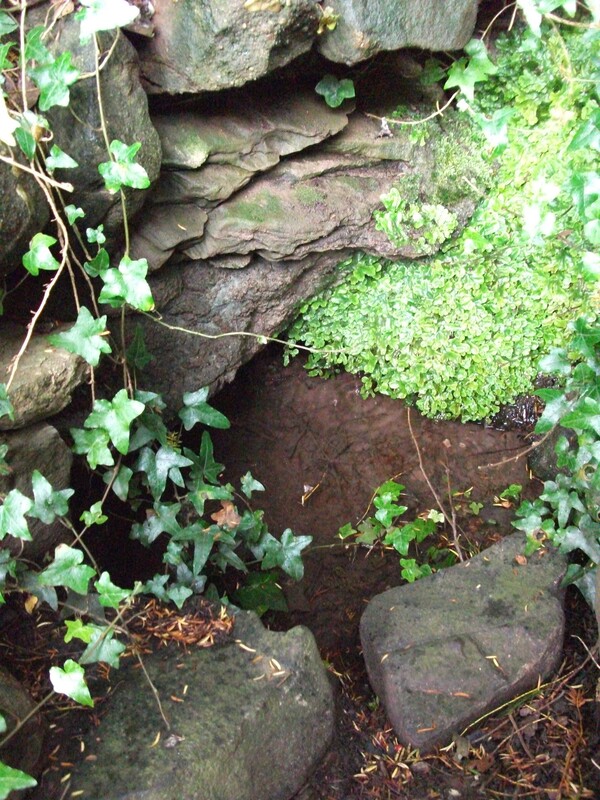 The origins of St Milburga’s Well is associated with a local legend. In the village they tell a legend of the saint being chased for two days and nights non-stop until exhausted she is said to have fallen from her white horse and cut her head open on a stone. The fall was witnessed by some farm workers who came to her aid but found no water to bathe her with. She then turned to her horse and instructed it to hit the stone to which the spring then arose. Such stories are often told of saints, for example see my blog entry on St. Thomas’s Well Otford for a more famous example. A great story is also recorded that she made the barley the men were sowing when the incident happened to grow rapidly, in fact so much that it was harvestable. When the saint’s pursuers came by later that day the men were indeed harvesting the barley, and so when asking if they had seen the saint they said yes when they were sowing the barley. Confused, the pursuers gave up and the saint escaped. The well itself was noted for cures of the eye although it also used for washing clothes by the local women and was finally enclosed in the early 20th century for the village water supply. Today despite appearing still to be tapped, the modern water works being rather incongruous and ugly, the main spring still flows rapidly down hill arising in a square chamber. It has occassionally been dressed. 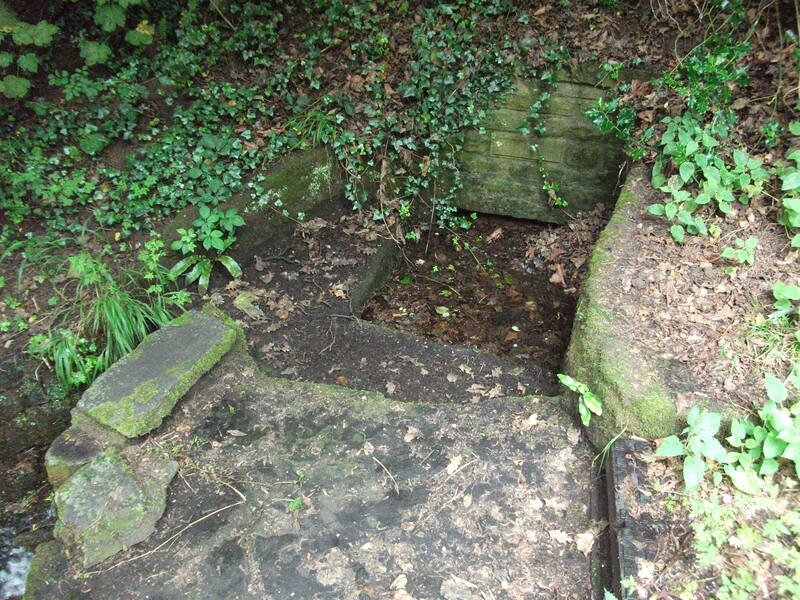 Hope Baggot’s holy well is one of the simplest but most evocative of sacred springs. 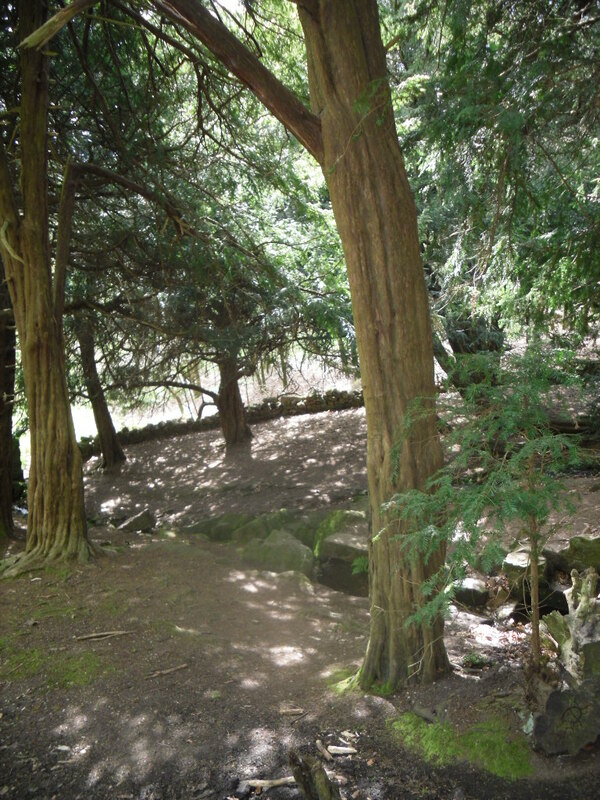 One can feel that little has changed for perhaps thousands of years and if such sites do have a pre-Christian history this one with its protective ancient yew is clearly a candidate. Sadly little is known of the site. 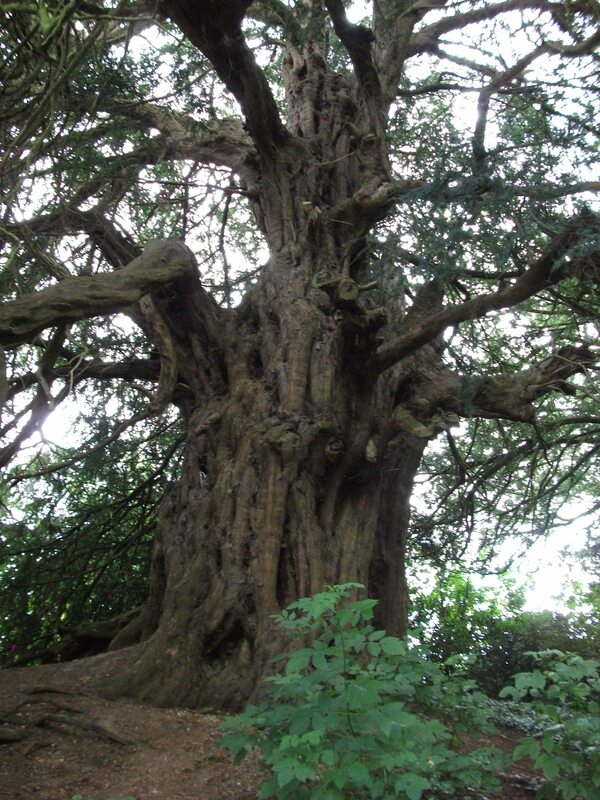 The Carbon dating of the yew gives a date of 6000 years but does not mean the site has been venerated that long. The well itself arises in a stone lined grotto and flows pleasantly. 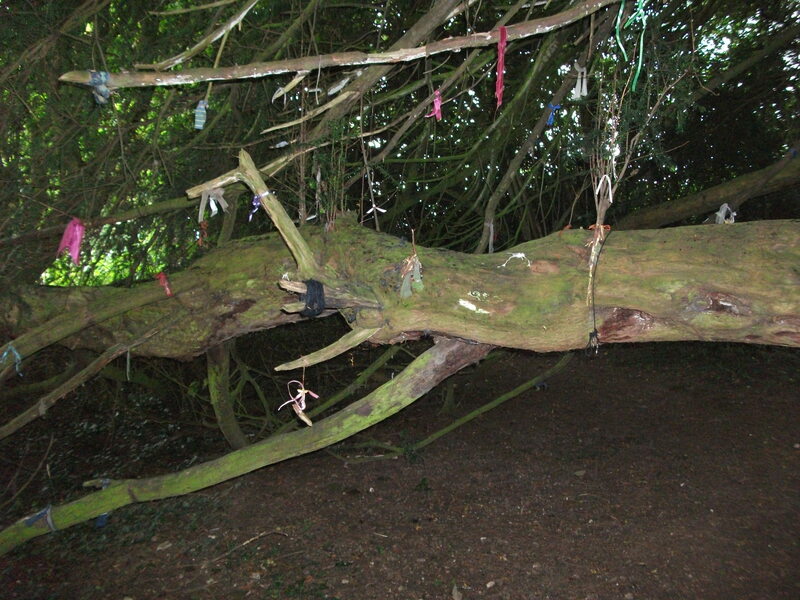 The tree is adorned by clooties and the overall effect is rather magical. 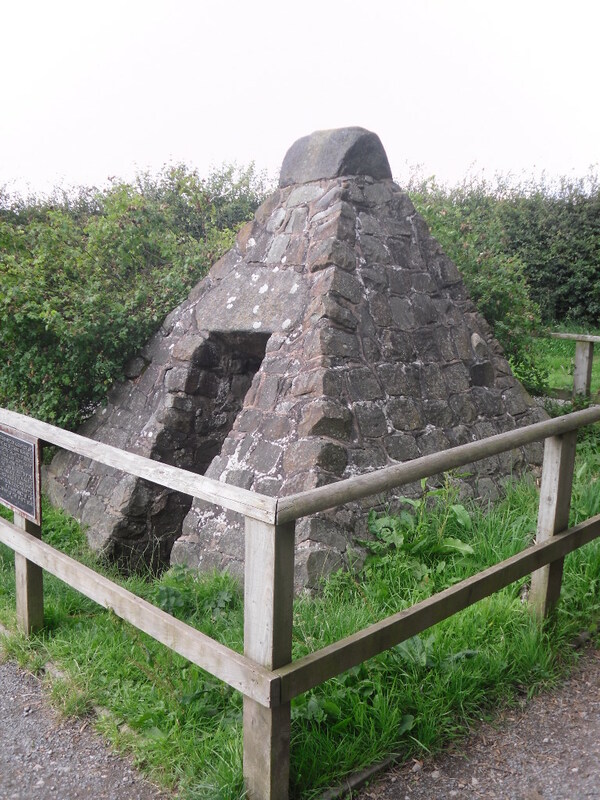 “The pretty legend of the Boiling Well–so called from its continual bubbling as it rises–in a meadow beside the River Corve at Ludlow, was related to me on the spot in the year 1881, as follows. Three centuries ago the principal figure would have been described as a holy saint in disguise instead of a simple palmer. St Julian’s Well is enclosed in something a little more substantial, a stone well house which is rather strangely placed on a small island in the road. It is difficult to see how functional this well would be as I could not see a doorway. The whole structure is rather sunken in the ground and looks more like a conduit house. It was used by the Augustinian friary.